Fuel tank assy with the large filler hole. These are made like the originals and are marked with the Olaco stamp. *Fuel cap not included. 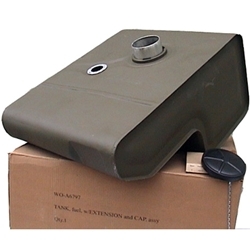 High Quality Fuel tank assembly with the large filler hole. These are made like the originals and are marked with the Olaco stamp. We also offer this tank in a F script version. *Fuel cap not included. Call for availability.